The history of the Iranian community in Germany goes back for more than thirty years. Up until today, there is no umbrella organization or foundation representing the Iranian Diaspora and giving it a voice in the German society and cultural landscape. 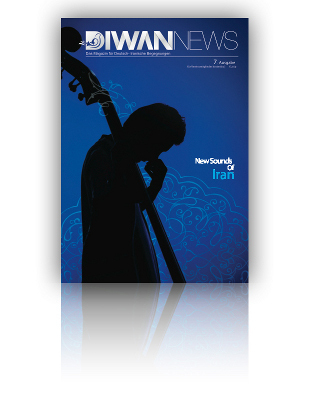 The DIWAN is a first step in that direction, aiming at the creation of a nationwide cultural foundation. Especially in the Cologne-Bonn-Düsseldorf area, where thousands of Iranian men and women live, the lack of such an organization is obvious. There are some associations or niche organizations, but there is no common denominator or key contact yet, like a society or “house” bringing together people with Iranian background of all ages and providing a space for German-Iranian encounters. Providing that space and filling it with life is our main goal. In the long run, we even want to lay the foundation for a nationwide initiative including European activities such as summer camps with kids and teenagers from all over Germany, culture and art festivals and tours with German partner-institutions, annual events for Iranians and students with Iranian background in Europe. Our society aims at young Iranian men and women of the second generation, as well as to first generation Iranians who managed to save the fire and not the ashes from their past. The DIWAN’s doors are open for everyone: German-Iranians interested Germans and other nationalities as well as Iranian students and intellectuals who have just arrived in Germany. The DIWAN is and will remain a place for people looking beyond political, religious and ideological differences. It wants to encourage people to critically reflect on their own thoughts, to be open-minded and to translate between cultures. The DIWAN invites people to discover what they have in common beyond all differences. Some may say: “That’s difficult” or “It’s impossible”. They will be skeptical and full of doubts. They will tell you that the realization of such a project will not be possible. That is understandable; everyone has to manage their “normal” daily life: family, friends, partners, jobs and careers… How do you want to spend more time on the DIWAN on top of all these obligations? Well, the answer to these questions is rather simple: Everyone just spends exactly that amount of time he or she is willing or able to invest – only then it will be enriching. A single person is not able to build a house but many hands-on kind of people are. Being part of a project, discussing, planning and getting things moving forward together with others – many of us realized that social commitment can be really fun and that we can grow from this experience. This is why we focus on our chances and opportunities. Instead of denying mistakes of the past, we rather would like to learn from them. We believe in ourselves and we believe in community-building.